Since I'm a bit stressed about my interview tomorrow, I wanted to make something easy for dinner tonight. 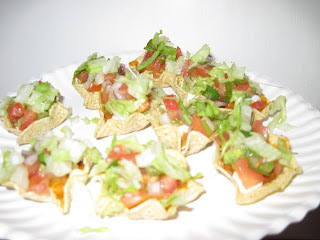 I had some leftover homemade chili in the freezer and some baked tortilla cups...so I opted for nacho dip night! 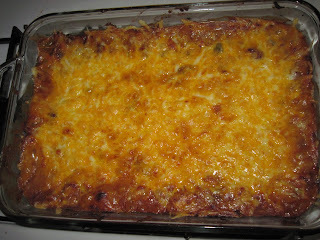 Take an oven safe dish and layer a can of fat free refried beans in the bottom evenly. If you have chili or taco meat leftover in the freezer, layer that on next. If not, the beans are great on their own. Like 'em spicy? Add some salsa or hot sauce in on top of that. Like olives? Add some on top! Have some jarred nacho cheese in the fridge? Add a layer of that on too. 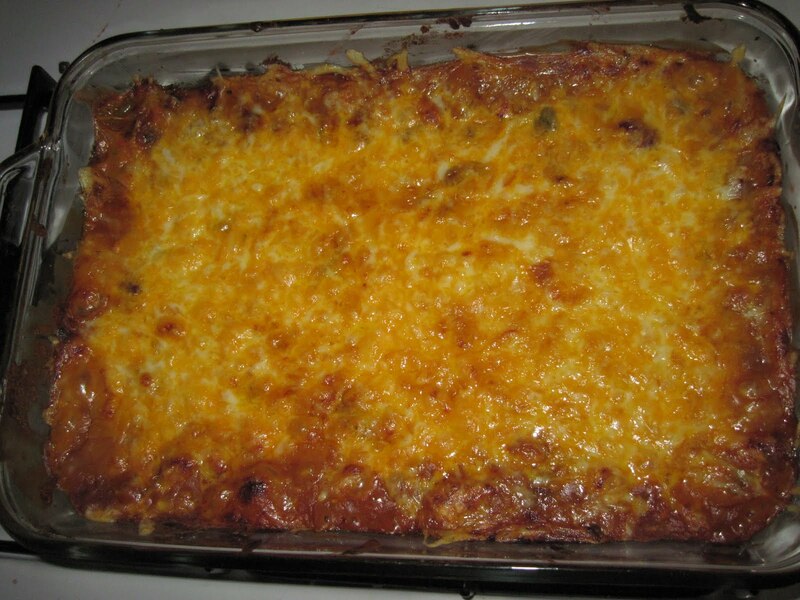 Then top with some shredded cheese & bake at 400 degrees for about 20 minutes. While it was baking I made some guacamole & shredded some lettuce. Dice some tomatoes or use store bought pico de gallo for the top too. 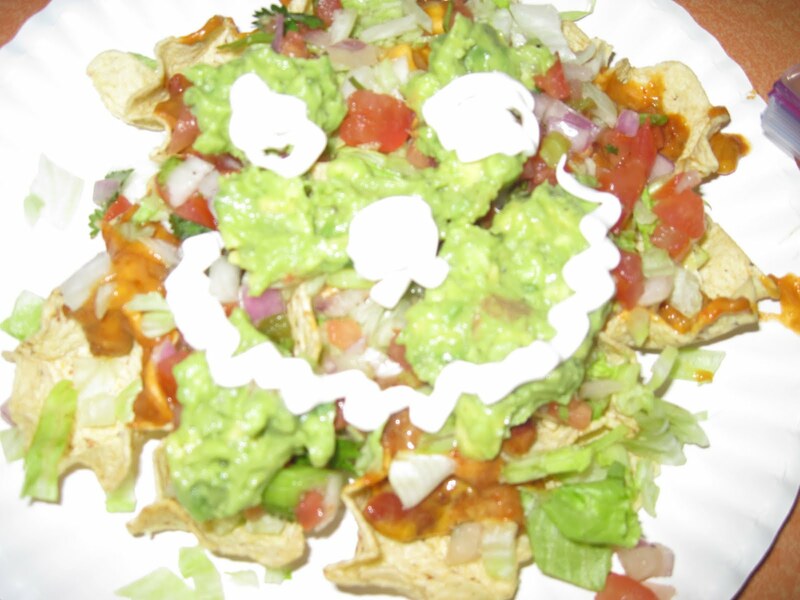 I like to put my sour cream in a ziplock bag & cut off the corner so I can pipe it on in fun ways....like MR. NACHO! hahaha! Here is the recipe for the guacamole! Just dice the avocados in their shells (cut in half, twist and "karate chop" the pit with a knife & twist it out) then squeeze them into a medium bowl. Add the garlic & lime/lemon juice + mash up a bit with a fork. Add the onion, tomato & season with salt/pepper to your taste. I'm a 32 year old stay-at-home mom that loves to cook. It's really my passion. As many are these days, we are on a very tight budget, but I manage to make some pretty fantastic meals on our limited income. I'll tell you about the sales I get and the coupons I use to get the best deal so you can learn to maximize your dollar every time you go to the store. Your family will love the meals. I've developed & tested them all myself with my own 2 picky eaters! Just a little reminder: if you scroll up to the top of your page, you can click Share to share the recipe on Facebook with your friends so we can ALL save money & eat well. Pizza is boring...let's make CALZONES! Chili in the crock pot? YES! Make your own Cream Cheese + Save MONEY!